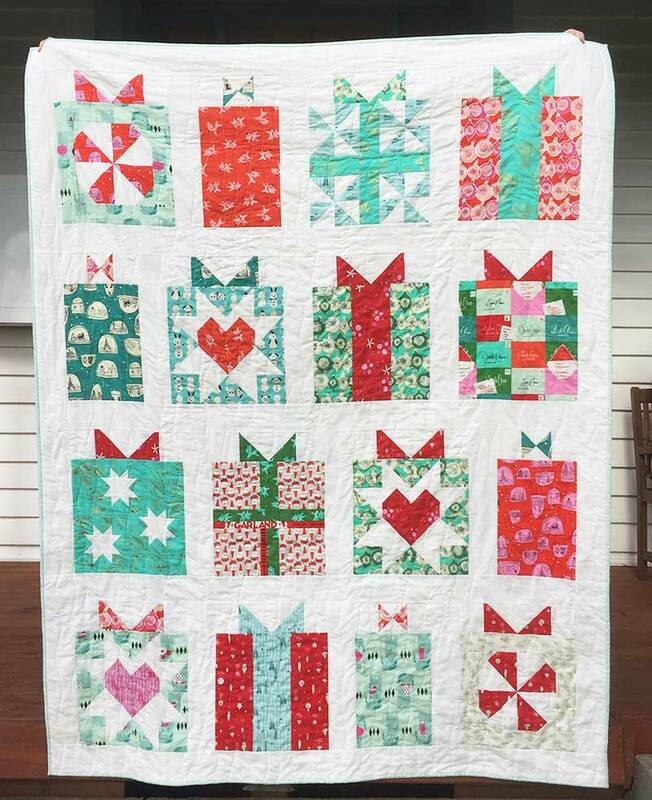 I finally quilted my Handmade With Love Quilt from the Said With Love sew along earlier this year (click here to read all the details of the sew along) using Cotton + Steel Garland and Tinsel fabrics. 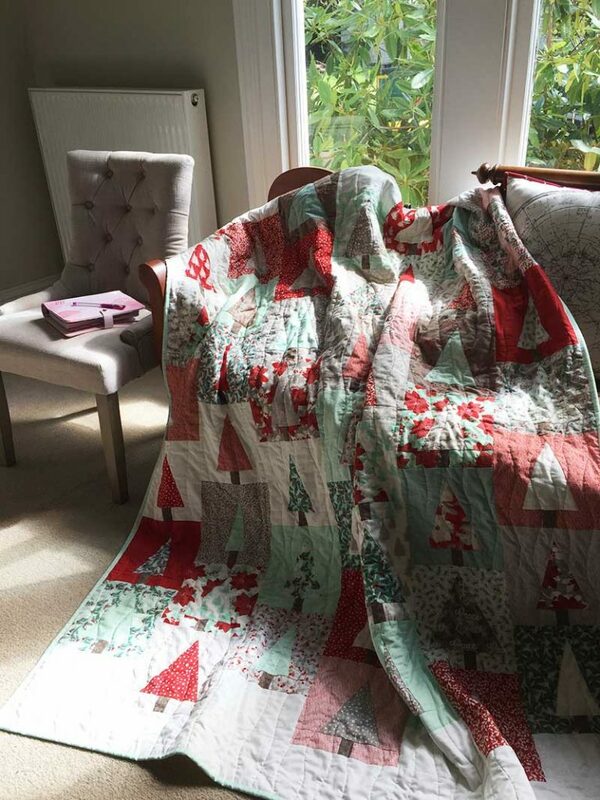 Then I did my favourite ‘snow tracks’ quilting… organic wavy lines all the way down the quilt. Now to be fair, I had finished the quilt top during the sew along (phew! I kept up!) but of course I wanted to do something a little different with mine. 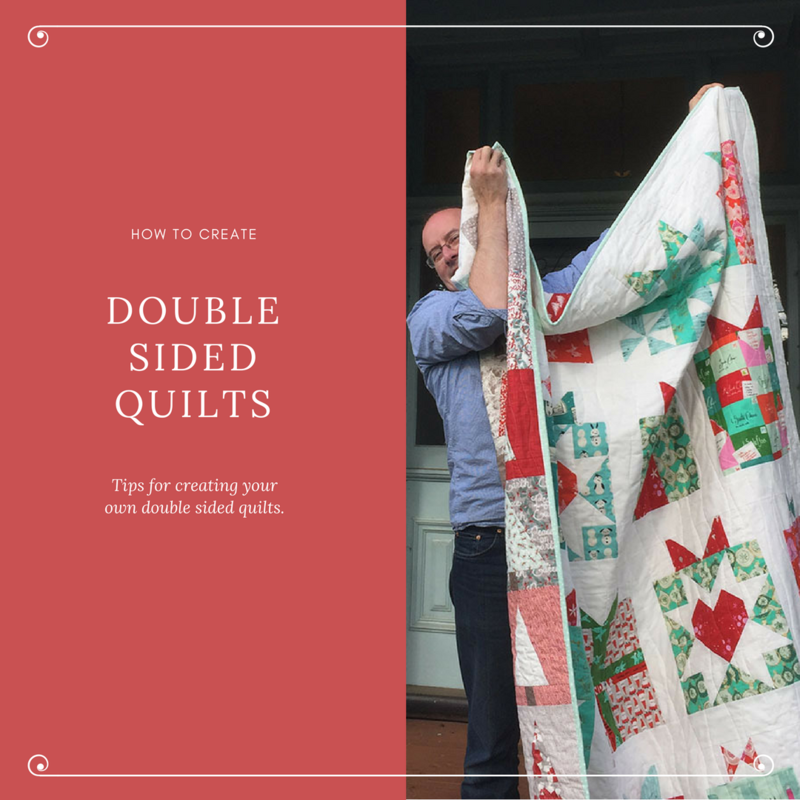 You have probably figured out by now that I love making double sided quilts …. and this one was no different! 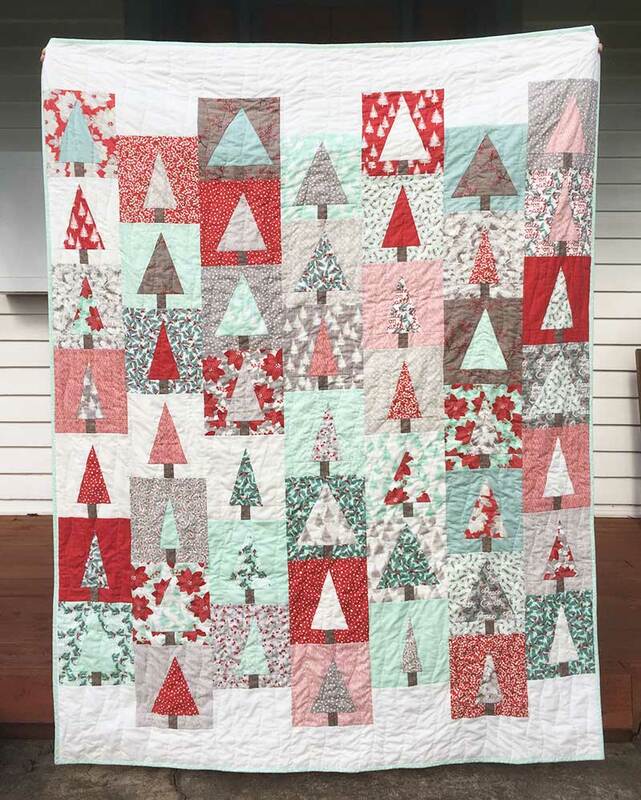 So for the back I used the @dairyofaquilter tutorial for the Holiday Patchwork Forest quilt and I used @sterlingquiltco instagram tutorial on how to make the trees from a layer cake. Though I did use the same trunk fabric throughout the entire quilt as I had lots of that available. Now as our Xmas falls in the middle of our summer (think 40 degree celcius and eating salads and cold seafood!) 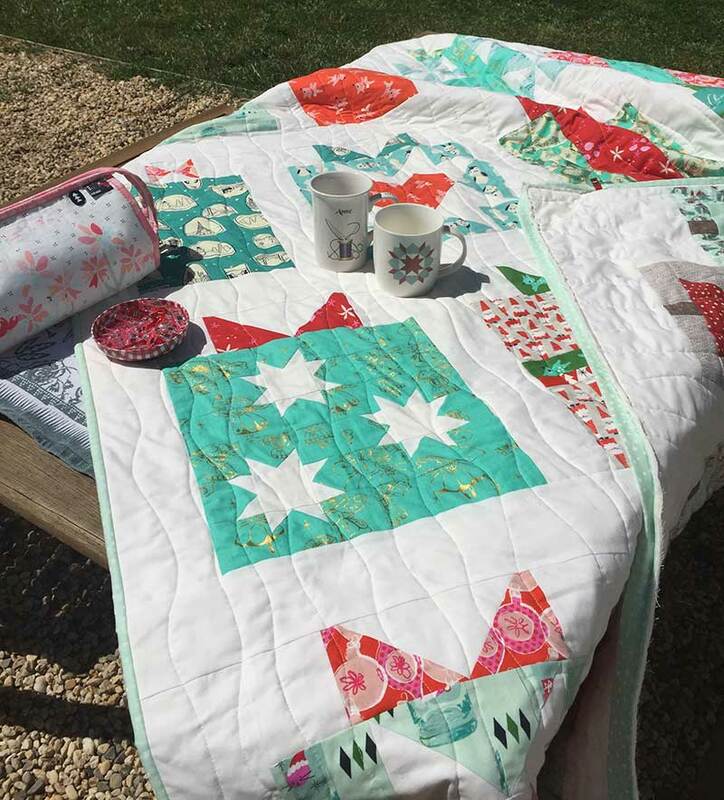 we don’t need a lot of quilts to snuggle under… but this one might very well become an ‘under the tree quilt’ so we can put our presents on it. And then it will get another airing during our winter when we celebrate ‘Xmas in July’. Us southern hemisphere dwellers get to celebrate Xmas twice! But we definitely did NOT need two Christmas quilts! Or maybe it will just stay in our lounge and become a very favourite snuggling quilt! Spend the time ensuring that your back quilt lines up straight in relation to your front quilt. I baste on a table so there are nice edges I can line things up on. And why would you want to create a double sided quilt I hear you ask?? 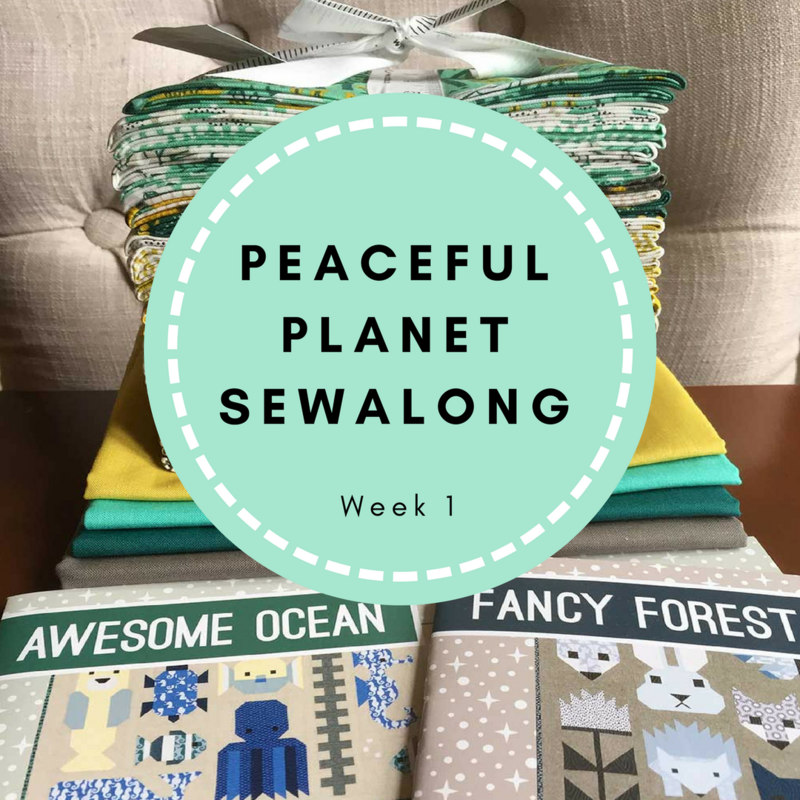 There are always more quilt patterns I want to make than I really need finished quilts for, so this is a great way to get all those quilt tops out of my system without ending up with a gazillion quilts! And I *might* have a small fabric buying problem (ok, ok, I am a fabric addict!) so finding delicious fabrics with which to make a second quilt isn’t that difficult! Tell me, have you ever done a double sided quilt? What a great way to get your “want to makes” done more efficiently! I think this is a great idea. Thank you for the tips about that. Thanks Janice, hehe, yes it is a great way to make lots of quilt tops but only half the number of quilts!! You’re tempting me to make a double sided quilt. Great use of the Christmas Cotton and Steel! Thank you for participating on behalf of the 2017 FAL crew! Love the fabric choices on this, what a nice finish!